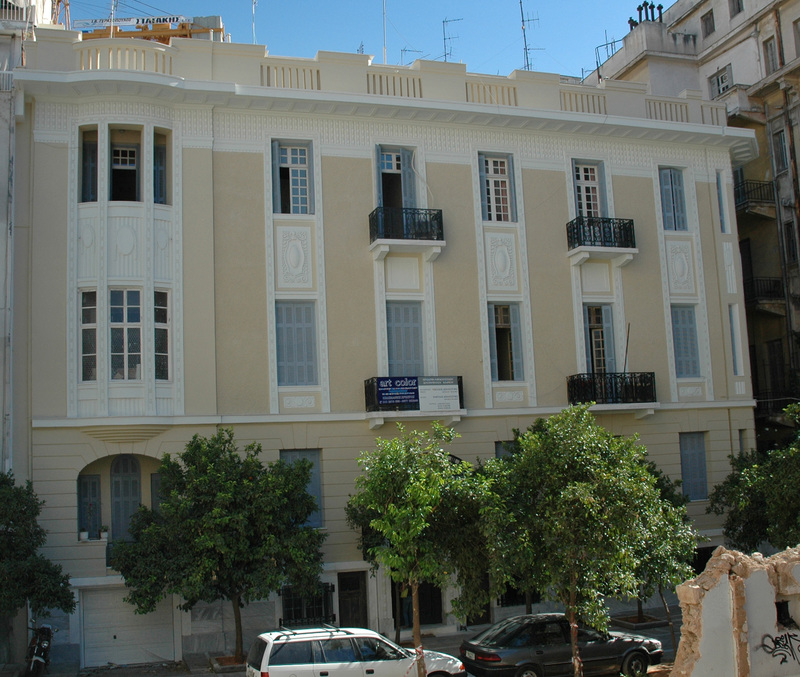 The Swiss School premises in Athens are located in an Art Nouveau building at Skaramanga Street 4B. 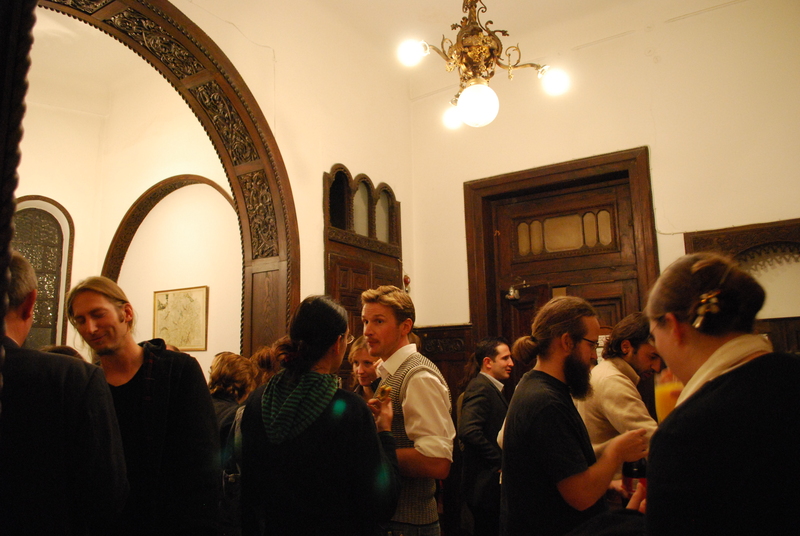 Facilities on the 1st floor are provided for seminars and conferences with a maximum capacity of 70 people. 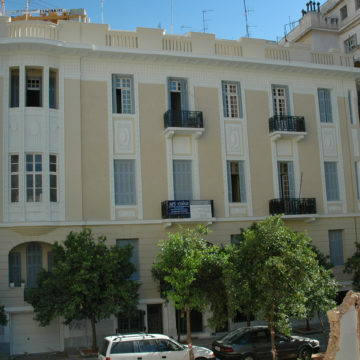 The office is located on the 2nd floor. It offers a basic research library (see the catalog). 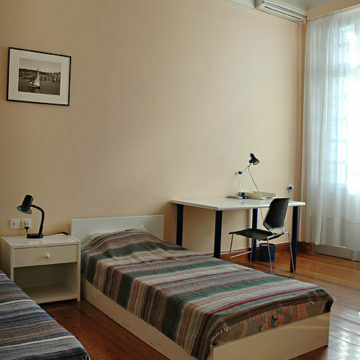 Two double rooms on the 2nd floor and an apartment on the 3rd floor accommodate Swiss and international scholars for short term periods. 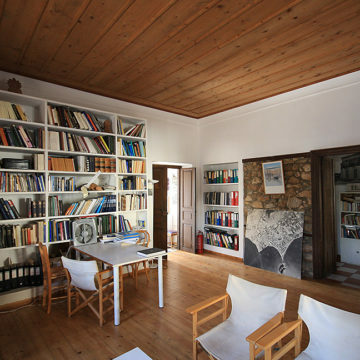 The Swiss School premises in Athens can accommodate up to 7 people. 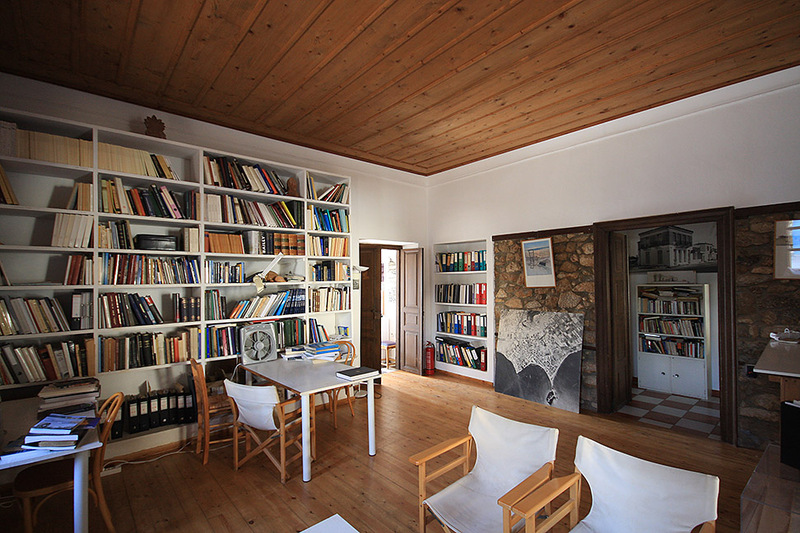 Swiss as well as international academics in the fields of archaeology, Classics and modern Greece study can apply for accommodation for a period of several days extending up to several weeks. 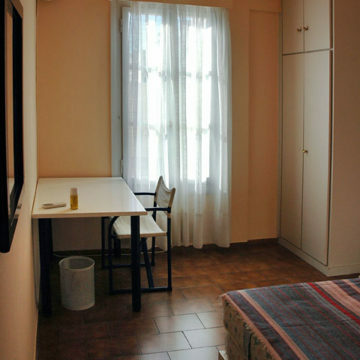 There are two double rooms on the 2nd floor with private bathroom and a communal kitchen. 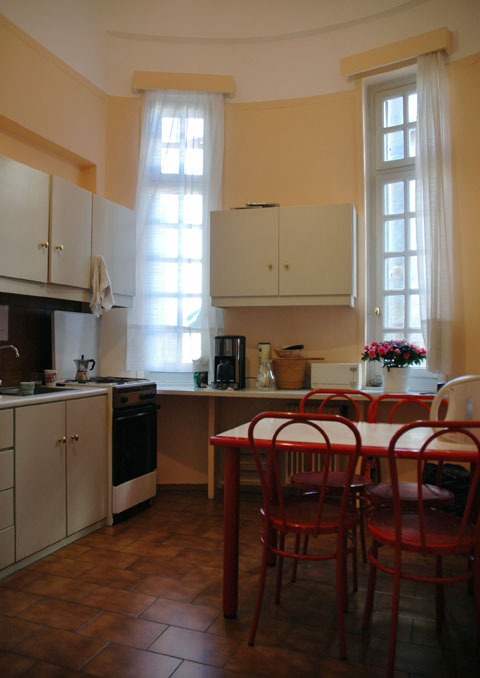 An apartment with bathroom facilities and a kitchen located on the third floor can accommodate up to three people. 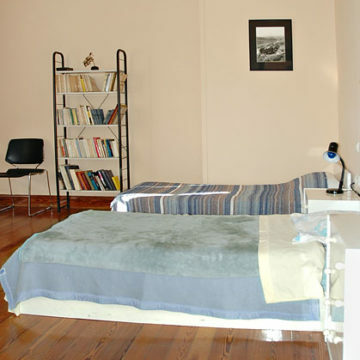 Linens and blankets as well as a laundry machine are provided by the School. 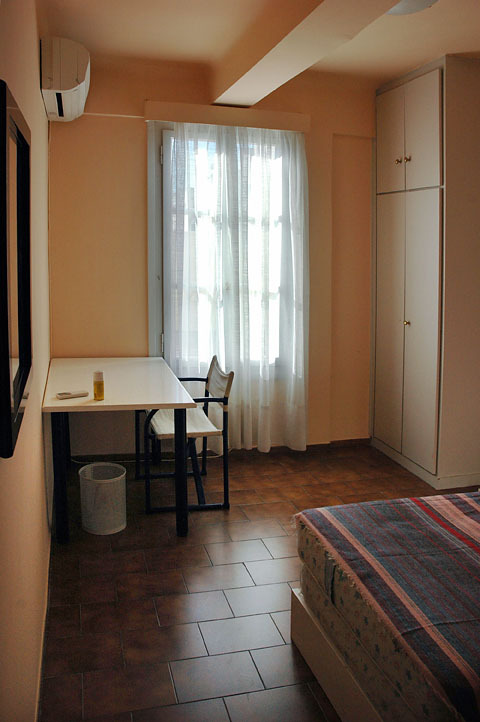 All rooms are equipped with air conditioning and a wireless internet access. 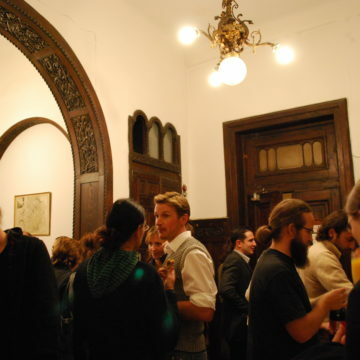 * For short stay the above rates do not apply to scientific collaborators of the Swiss School (free of charge below 10 days) and to participants to projects of the Swiss School, in particular fieldwork students (free of charge during the project and 1 night before or afterwards). 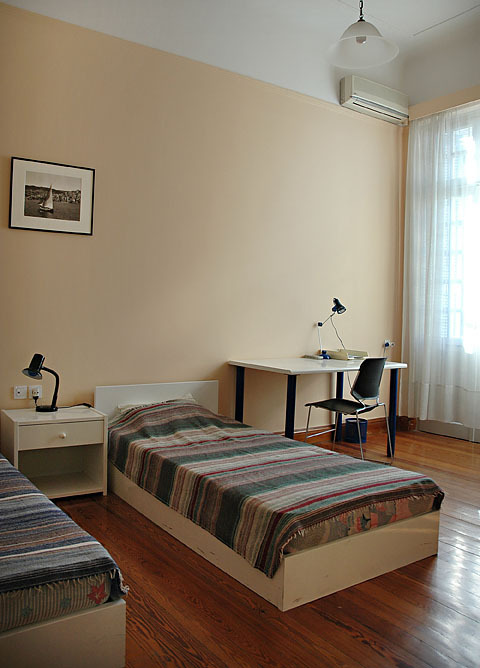 For any request or to book a room, please contact the School office (info@esag.swiss). 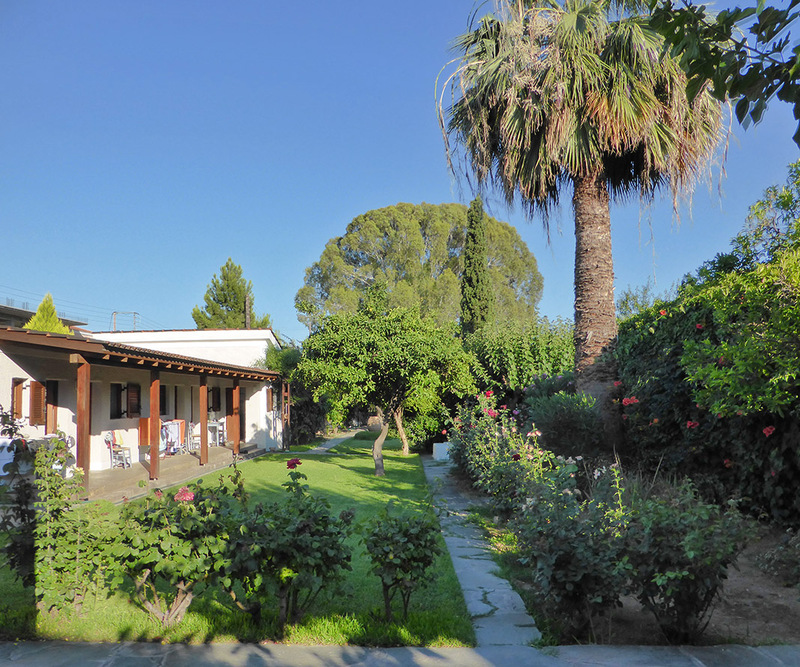 The Swiss School facilities in Eretria are located in a 19th century neoclassical house with a modern annexe equipped with all amenities. 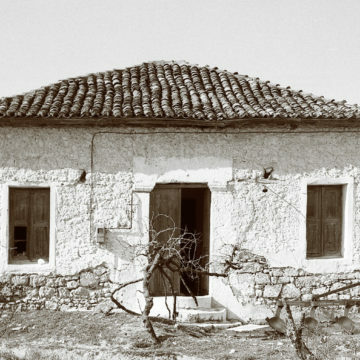 This historical house once belonged to Admiral Nikodimos, one of the heroes of the Greek War of Independence, and served in the early 20th century as a municipal building. 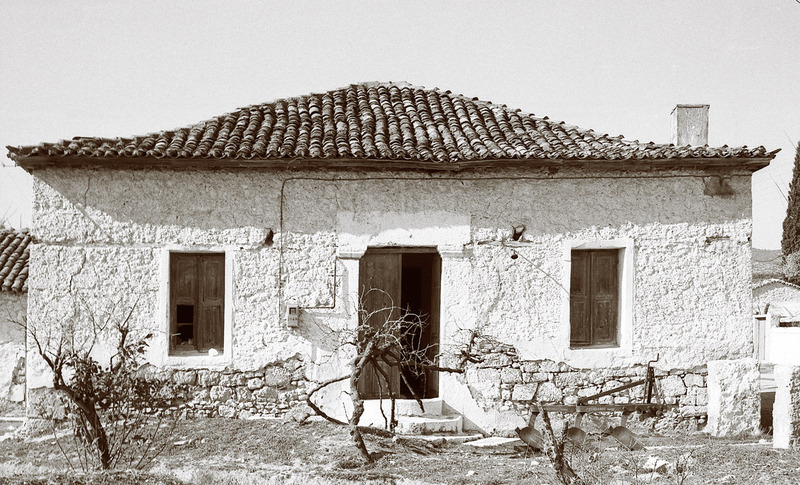 Since the seventies it has been fully restored by the Swiss School thanks to private funding and serves as the School’s excavation house in Eretria. 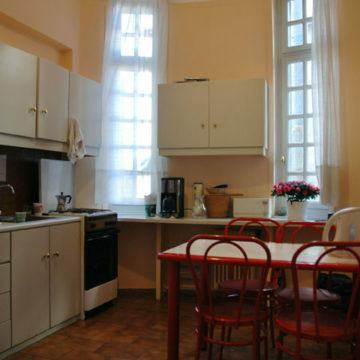 It offers accommodation for up to nine people in single and double occupancy rooms, with communal kitchen, bathroom and laundry facilities. There are also a communal workspace with a basic research library (see the catalog) and an office equipped with a photocopier, printer and PC station. 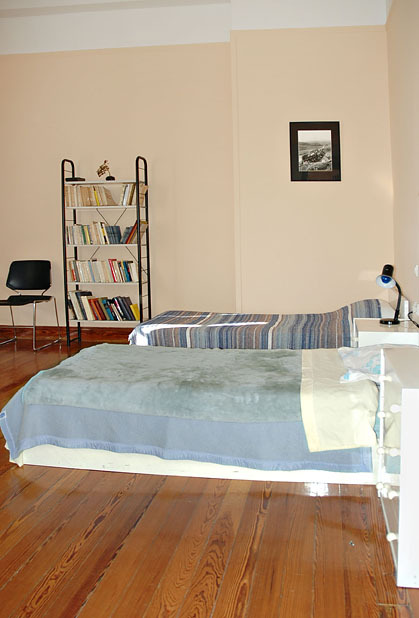 All rooms have access to the internet through an ADSL wireless network. 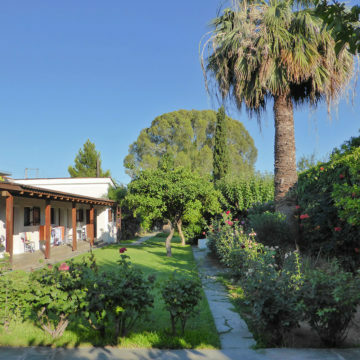 Archaeologists and scholars carrying out research in Eretria and Euboea are welcome to stay in the house, except during excavation season in summer.